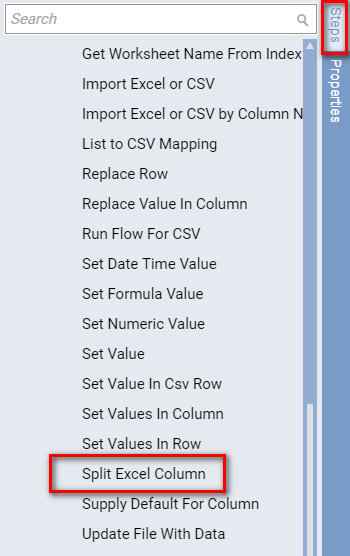 Using the Split Excel Column	component in a Flow , the data in an Excel spreadsheet’s column that is separated by a delimiter can be split into several columns and then displayed in a data grid or converted into a CSV file. This component can also split the original columns into more columns, or combine them into fewer columns. 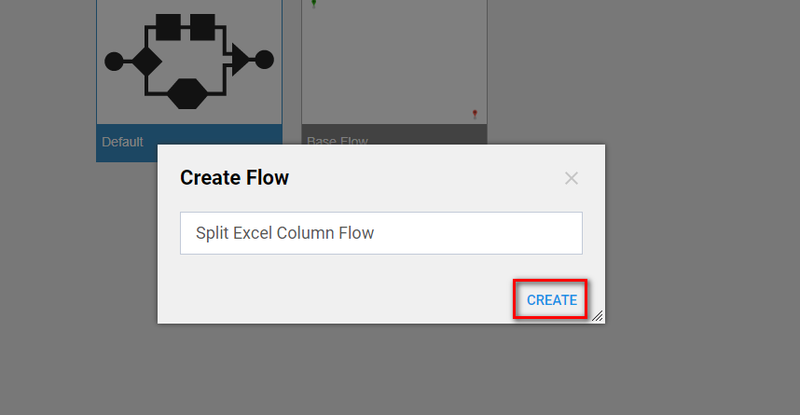 This tutorial shows how to create a Flow that uses the Split Excel Column	component and set mapping for the component in the Mapping Edito r.
To begin, navigate to a Designer Folder and click the Create Flow	button. 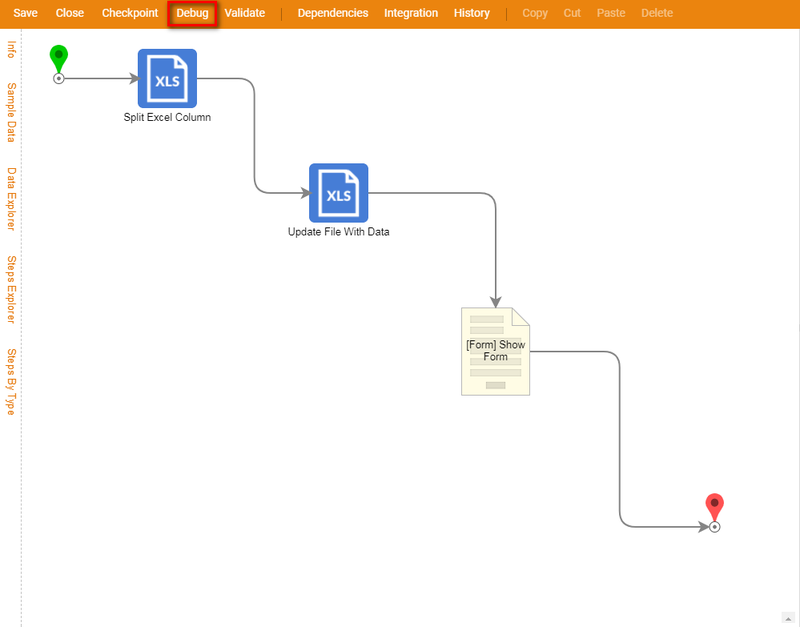 Name	the flow and click Create	to open it in the Flow Designer . 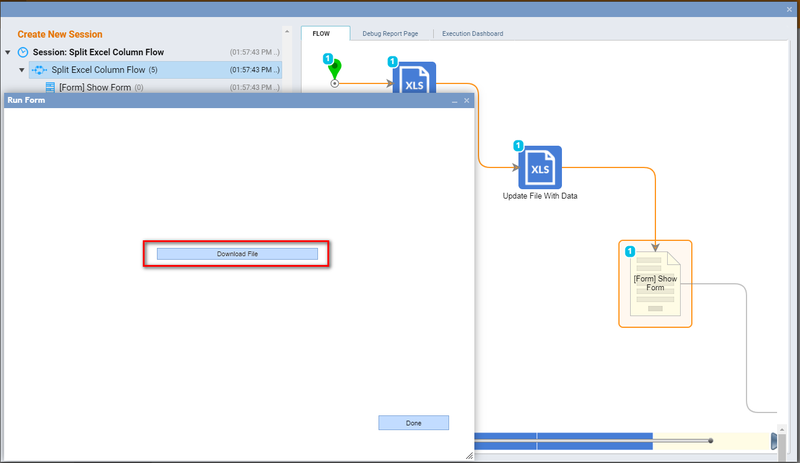 In the Flow Designer start-up window, we select Start Step	, and using Step Information dialog, we clickAdd New	link to add new Flow Input Data. In the resulting pop-up window we define a Name	for our Input Variable	. 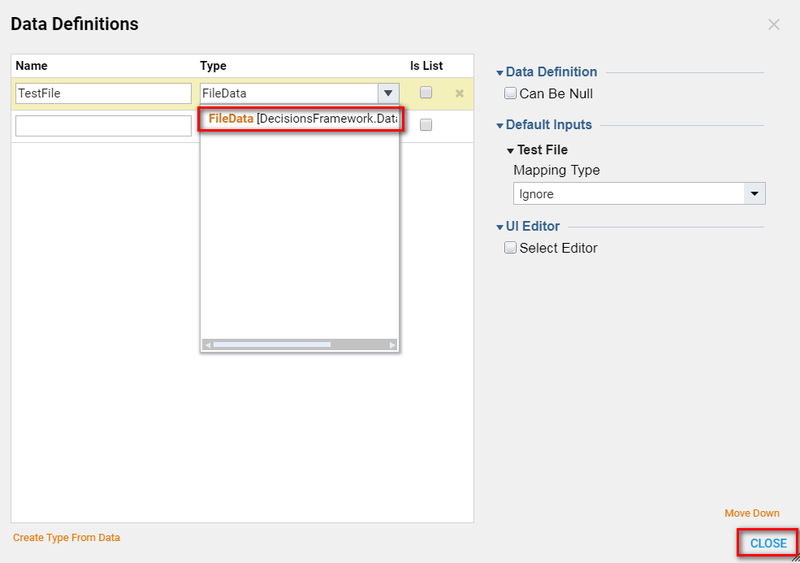 Next, we define its Type as FileData	using a search bar in the Type Picker. 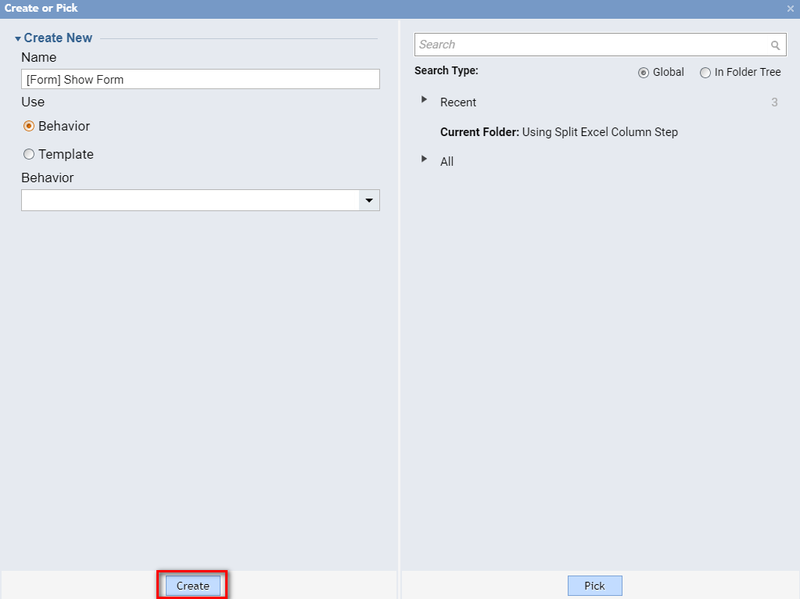 In the Steps	panel, we expand the category All Steps [Catalog] > Integration> Excel and CSV,	then select a Split Excel Column	component. Click Add	to add it to the workspace. 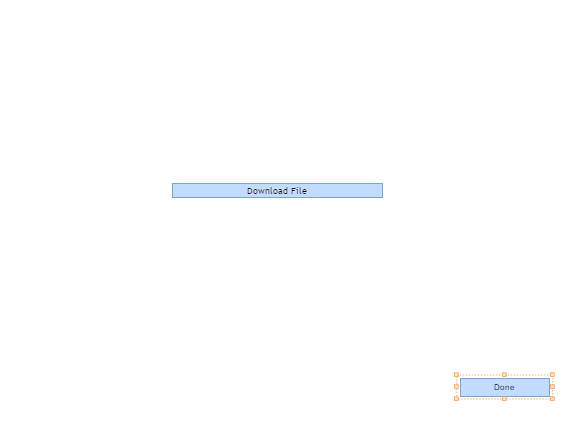 Then, we use Steps	panel to add	Update File With Data	step. 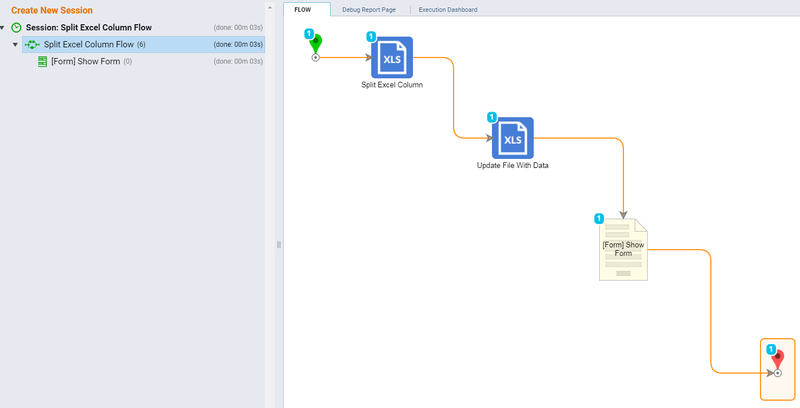 We expand the category All Steps [Catalog] > Integration > Excel and CSV,	then select Update File With Data	component. Click Add	to add it to the workspace. 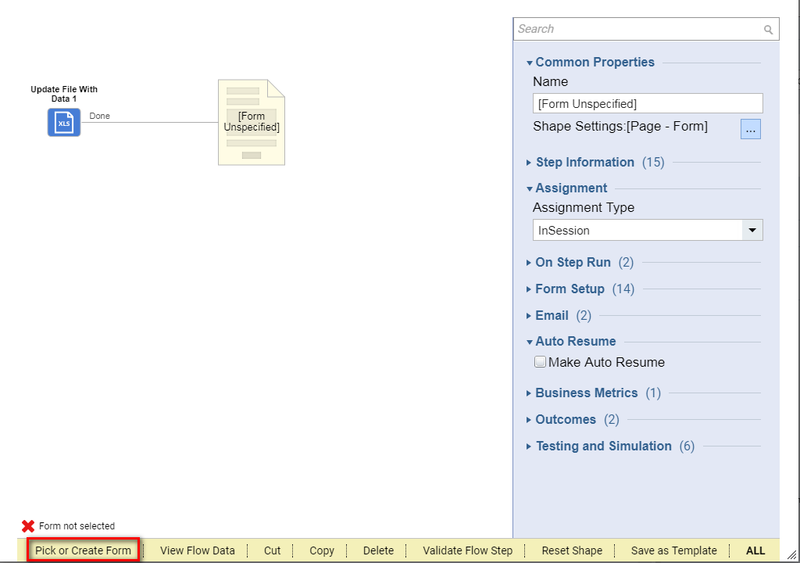 Next, we locate Show Form	step in the Favorite Steps	category in the Steps	panel, and add	this step next to the Update File With Data step in our Flow . We are going to use this step in this tutorial to create a simple Form for user to be able to download	the updated Excel file. In the Form Designer , we added Button	component from Actions	category in the ToolBox	in order for our Form to have at least one outcome. We named this Button Done	to reflect its purposes. 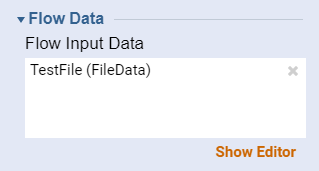 Next, we add File Download	component from Data > File	category. 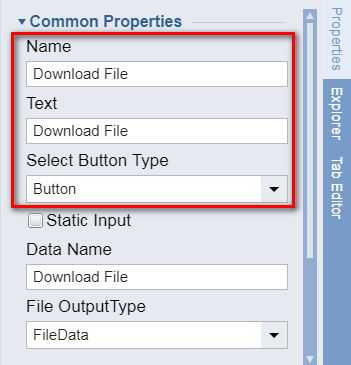 We configure our File Download	component as following… We provide its Type as Button	, define a Text that will be shown on the Button	, and define a Name for the Variable	that will hold our Updated Excel File. Finally, our simple Form should look like following… When finished, we can save our Form and close Form Designer. 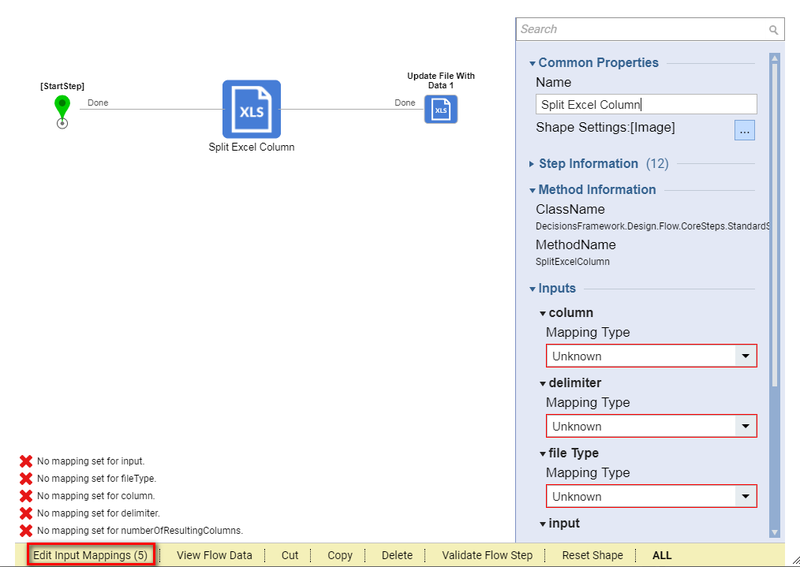 For the Input	object, we use Select Value Mapping Type	, and connect it to the***Flow Input Data*** file from the Start Step. Enter the delimiter in the Value	field under the delimiter	object (in this case it is a spacebar character). 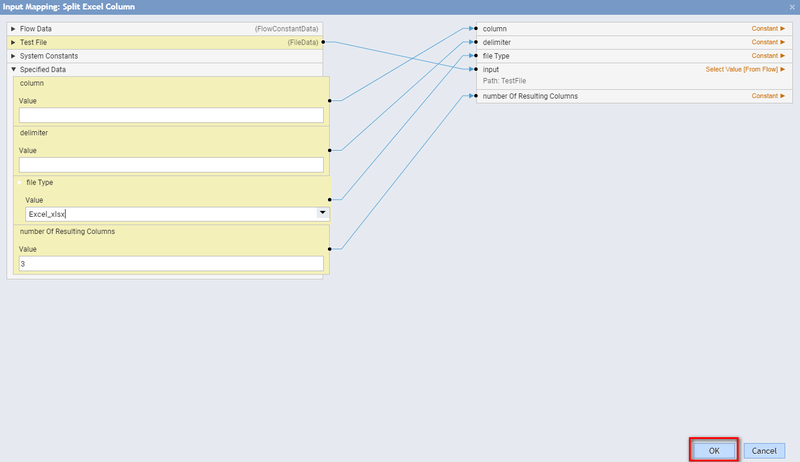 Finally, specify the number of columns that should result after the columns have been split or merged. 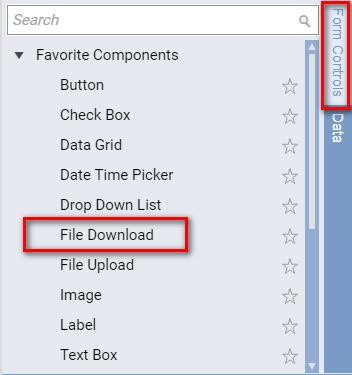 In the Mapping Editor	for Show Form step we simply connect our File to the File Download	control Variable on our Form … Save and close Mapping Editor. This completes our Flow Design . 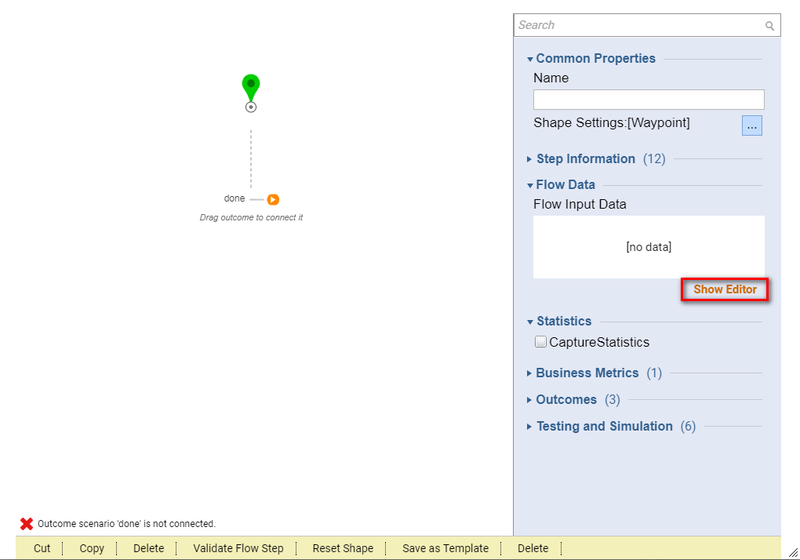 We can click Debug Flow	link on the Top Panel of the Flow Designer to test our Flow . Then we need to provide our Flow with an Excel	File. 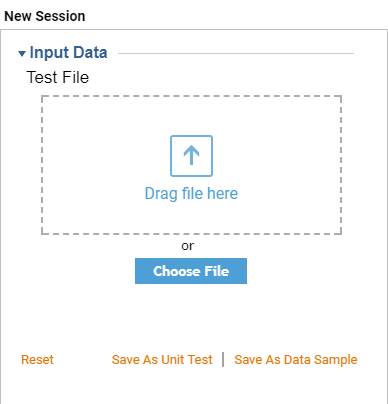 We use Input Data picker	to pick an Excel file. Then we click Run	button to proceed. Our Excel	file looks like following. It has all Data*(First Name, Last Name and Email Address)* in one column delimited with a space character. Our Flow should divide this data into 3	separate columns. Our Form opens in the Debugger	. We click Download File	button to download our Updated Excel file.